When RSA Group needed to build greater real-time collaboration capabilities across an organization with hundreds of employees, it turned to iSSC to find a solution that was stable, available, cost-effective and understood that in the world of fresh produce, time is of the essence. The RSA Group trades in fresh fruit and vegetables on behalf of its customers, and while fresh produce hasn’t changed much in the 30 plus years that RSA has been operating, the market, technology and customer expectations have. “RSA’s philosophy is ‘Farmer First’, and a critical component of this is our ability to deliver daily feedback of their activity on the Fresh Produce Markets to each of our customers,” says Jane Strijdom, Marketing & Communication Manager at RSA Group. It was a need for greater and seamless collaboration across the organization that lead RSA to iSSC. “We understood that the biggest challenge we were facing was one of collaboration – we have hundreds of employees across different divisions, and they need to collaborate using a wide range of devices. On top of that, we need to be quick and efficient. Trading fresh produce is reliant on the timely communication of information,” says Strijdom. “When we first started engaging with RSA Group, we first needed to understand their challenges,” explains Emil Henrico, CEO of iSSC. iSSC is a leading integrated solutions and service provider in Southern Africa, delivering world-class consolidated IT solutions for small and large organizations. 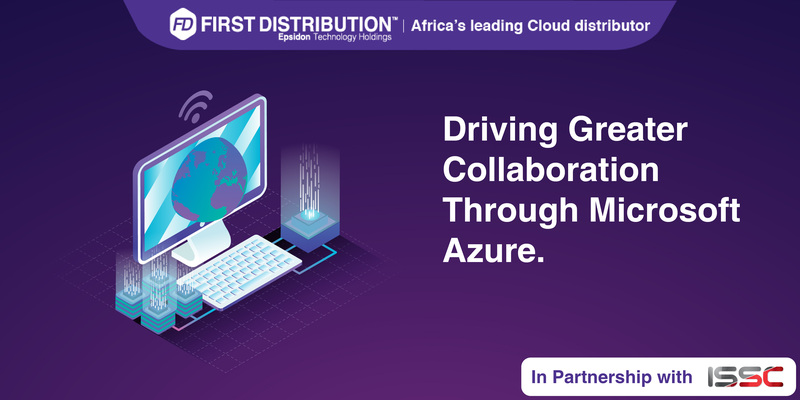 Supported by First Distribution, Africa’s leading IT and Cloud Solutions provider, iSSC’s focus is setting the trend on Cloud and Virilization migrations in an ever-changing world of Digital modernization, making it well-positioned to help businesses that are focused on being the leaders in their industries. In any environment it’s impossible to change too much at once, so iSSC evaluated the quickest, most far-reaching win, and recommended Azure and Office 365 as the foundation for RSA’s move to Microsoft. After some careful planning, iSSC and RSA’s teams decided to do the transition in phases. Step one was converting its current Active Directory into Azure AD, Microsoft’s cloud-based identity and access management service. The next step, which is currently underway, is the migration of RSA’s back office applications onto Azure servers, which will save on hosting and hardware costs, as well as reducing any downtime to almost zero. iSSC’s core objective is to enhance business processes, efficiency, effectiveness and overall productivity at a lower cost base. Migrating to a new platform or product can be disruptive, and so the team focuses on ensuring the entire process is as seamless as possible for customers. “It’s important that the correct stakeholders believe in the move and the reasons behind it, as well as what will be achieved once the migration is achieved,” says Henrico. “In RSA’s case, we were moving users from Google Drive and Google Mail, and we understood that these users worked differently to users of MS products. We provided support and training, which is essential. The end result is a seamlessly integrated business with a host of options available to them. "First distribution has played a fundamental role in growing our Azure business, before we started with First we looked at all other suppliers.The one thing that stood out is the commitment that you and the team provide to your partners, ad yes I call them partners because we are not just another number. The value you and the team add to our organisation is unlike any other we have worked with before you. We for sure recommend you for the Ms awards." iSSC is a leading integrated solutions and service provider in Southern Africa, delivering world-class consolidated IT solutions for small and large organizations. iSSC’s focus is setting the trend on Cloud and Virilization migrations in an ever-changing world of Digital modernization, making it well-positioned to help businesses that are focused on being the leaders in their industries. The RSA Group trades in fresh fruit and vegetables on behalf of its principals. The Group sells a Professional sales service optimising various channels in the industry. The RSA Group adheres to a Farmer First Philosophy. The principal remains the owner of the product as far as possible in this horizontal integration process. The RSA Group is a service provider in all channels.